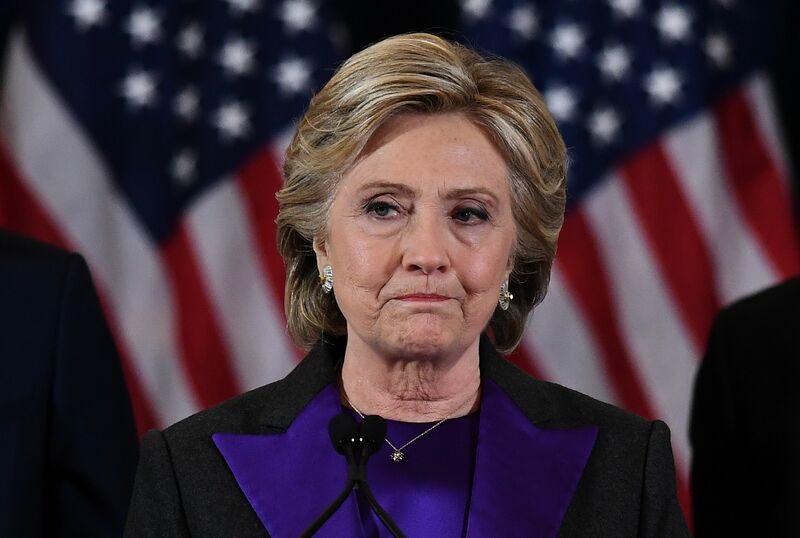 On Wednesday, Nov. 9, people around the United States and the world learned that Donald Trump will be the 45th President of the United States, meaning that Hillary Clinton would not be the first female president of the United States. As a result, Hillary Clinton merchandise started selling out right away, as people tried to get their hands on some the last remaining relics from her historic, groundbreaking presidential campaign. Clinton's online store offered a variety of Hillary for America merchandise, including buttons, t-shirts, baseball caps, etc., throughout her campaign for president. According to TMZ , a rep from Clinton's online store said that orders have been rushing in all day, because apparently people are convinced they are going to be collector's items now. Ugh. Of the 50 t-shirt styles originally available, there were all but three left when I checked on Wednesday evening. However, plenty of bumper stickers remain because apparently people don't think bumper stickers will be a collector's item, which I find a tad disappointing. I might buy one. Or three. Just in case. Not to mention I just sincerely love the message "love trumps hate" and feel that it rings true more than ever in our current situation. And, if you can look at the computer screen and see what you're ordering through your tears, you'll also get free shipping on orders over $30. So there's a little more motivation to let the world know you are #StillWithHer.